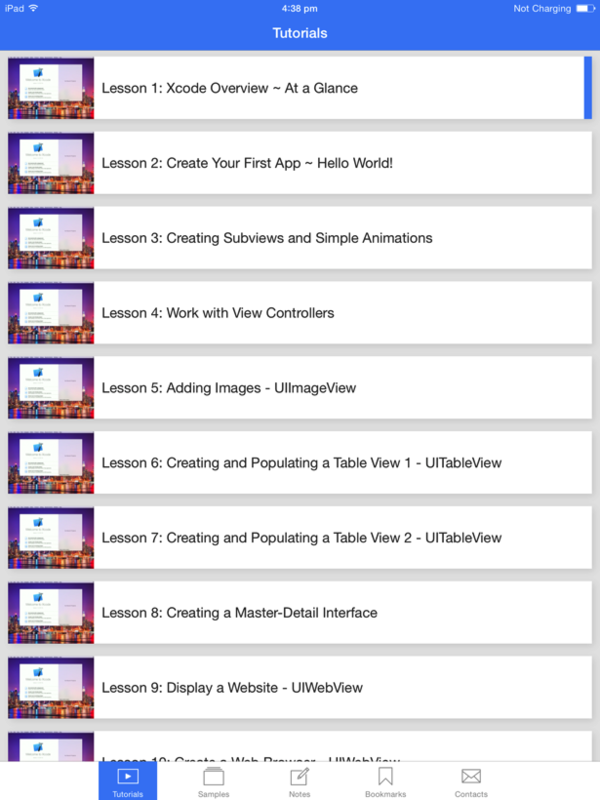 *** Xcode Training and Tutorials includes 30 video tutorials covering all the basic topics of Xcode programming! You will learn how to start building your first iOS apps for iPhone and iPad easily, all the video tutorials are made for beginner, our native English speaker would provide step-by-step guides and code examples, the teachers would also explain everything in details and all the example are guaranteed to be simple to follow and learn! * 30 Video Tutorials - they are made in Full HD resolution, native English speaker, each 5-15 minutes in average, you can view them in full screen and offline. Video will automatically resume the playback position from the stopping time of last session. * Sample Codes - all the codes you learned during the tutorials are downloadable, so you can practice them yourself. * Bookmarks - this section contains all the references and useful informations for each tutorial you may feel interested. * Notes - you may need to jot down the notes when learning, this section can store your notes for each tutorial respectively.